Why is CONSUMER Analytics not working for you? Ease and Multitude of information to consumers leads to evolving patterns. Now, Businesses need to change far more frequently. Ability of moulding your ecosystem to adapt the constant change is primordial for survival. Mere flashy data dashboards will not suffice. Businesses need a plethora of analytics solutions well-integrated with legacy systems. 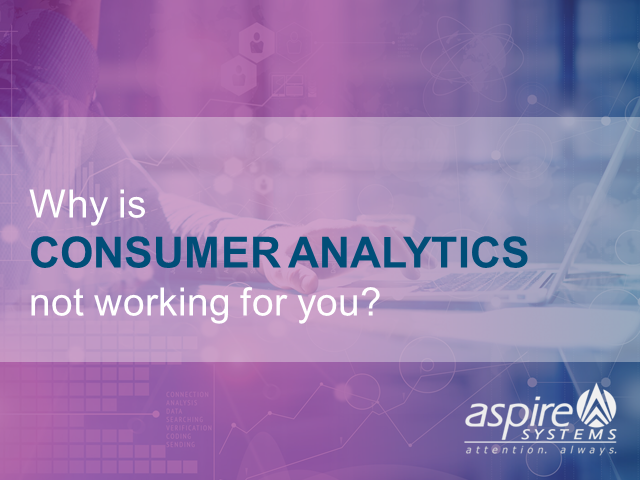 A good Consumer analytics solution will enable faster turnaround in decision implementing and getting the most out of the complex Consumer Engagement. Is your consumer analytics good enough for combating change? 1. Why you should align Business goals with Customer Analytics? 2. How to improve Customer Experience? Title: Why is CONSUMER Analytics not working for you?